Donate what you want and get a desktop wallpaper as a thanks. They're cheap and cute and sweet. T-the end! Oh noes, I should write some kind of deep and heartfelt ending speech here , but... I I can't pull that off right now. First things first: the countdown blog for my next webcomic "Stand Still. Stay Silent" is now up at sssscomic.com and I want all of you to go theeere! Plus change your bookmarks and stuff. And to lure you over I'm finally posting the old vote bait pictures from these last two years, first half today and the second half tomorrow. There's even a four-page mini-minicomic about Puppy-Fox's birthday in store for tomorrow batch, I bet most of you haven't read it since I posted it so long ago. I spent all of yesterday finishing the layout for it, and I still have a few small details left to add and tweak today, and I'm also going to adjust the main site of aRTD to reflect that the comic has now ended. Second thing: awesome proof-reading job yesterday guys! I feel like every typo, missing punctuation mark and crooked text alignment for the first bunch of pages was caught. I'm not changing most things that can pass off as colloquialisms, since very few of the characters are supposed to speak very formally, but I still appreciate all the different suggestions for those cases too (and heheh, grammar-fights). 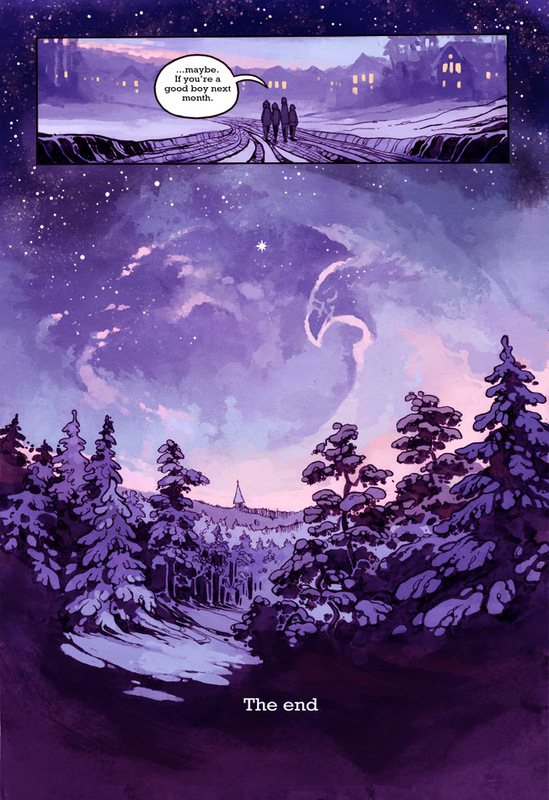 I won't post another bunch of pages until tomorrow, today my only quest is to make as many of you wander off to the new SSSS-site, and I don't want to distract you guys with anything else! That's...it. I'm definitely going to write that deep, tearful post about these two past years of making aRTD, maybe even in the countdown blog before SSSS starts next week. Perhaps I'll spice it up with some rare, early aRTD sketches and stuff. hmmm. Now everyone go click that link above and go look at some old aRTD vote baits! Let's regroup over there, see you guys on the other side!